If you do one major clean up during the year, by all means choose our specialised spring cleaning in Hammersmith as the right solution. Our professional spring cleaning service is the perfect way to freshen up the place for spring and summer. We will have your property clean and sanitised from top to bottom without costing you an arm and a leg – comprehensive, budget-minded cleaning solutions are our field of expertise. Our spring cleaning service in Hammersmith is the sensible and efficient alternative to doing all the cleaning chores on your own. A full scale spring clean-up will take at least a couple of days, and a serious amount of effort, time and resources. On the other hand – our specially trained teams will work their way through chores with professional pace and efficiency. You can book a regular hard floor cleaning with us and maintain the look of your freshly cleaned home. With us spring cleaning will take hours not days! The cleaning process itself will be carried out in a diligent, well organised fashion without any timewasting or fussing about. Our cleaners will distribute cleaning chores amongst themselves in order to complete everything within the shortest time possible and with the least amount of disruption. Most of the time, spring cleaning of the entire place requires cleaning of awkward and hard to reach places, which makes the process tedious and time consuming. Our highly efficient cleaners Hammersmith will not shy away from tricky chores and will ensure consistent, high quality cleaning results all round – even in out of sight zones of the premises. We are well aware that spring cleaning of residential properties is done in close proximity to occupants, and since we value the health and wellbeing of our customers and their loved ones, we do not use any toxic chemicals or aggressive cleaning solvents. Wherever possible we apply natural formula cleaning products – this also makes our work environmentally sustainable. Naturally, our Hammersmith spring cleaning is a fully customisable service solution which gives customers the necessary flexibility and freedom of choice. Should customers have any specific cleaning requirements, or want our cleaners to focus their attention on specific areas of the house, by all means let us know and we will make sure everything is taken care of. Cost wise, our Hammersmith spring cleaning service is arguably one of the most affordable, full property cleaning treatments you can come across right now. 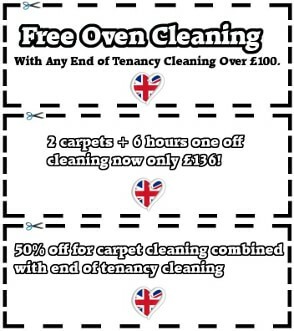 Our pricing is quite reasonable and includes all aspects of the cleaning process. If customers wish to include additional cleaning options as part of their spring cleaning service, we will be more than happy to arrange for those. Including extra options in the default service is an excellent way to get more value for money and coverage. The spring cleaning service is available to customers during all days of the week, including Sundays and public holidays at no change of price. We have good short notice availability and work under convenient service hours which don’t get in your way.